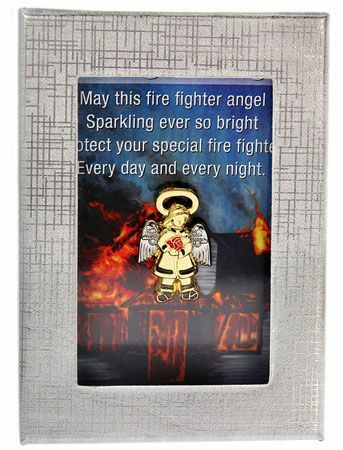 May this Firefighter guardian angel pin protect you day & night, on all fire calls. 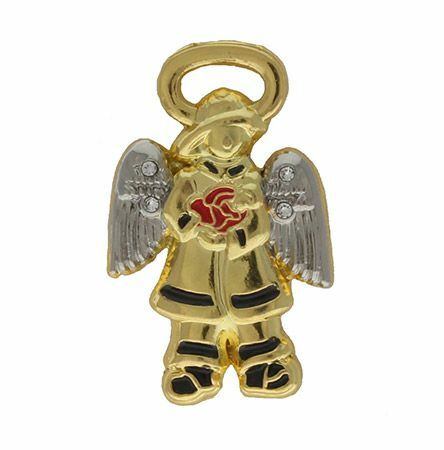 The pin measures 1 inch tall in silver and gold with hand enameled black detail plus 4 rhinestones. 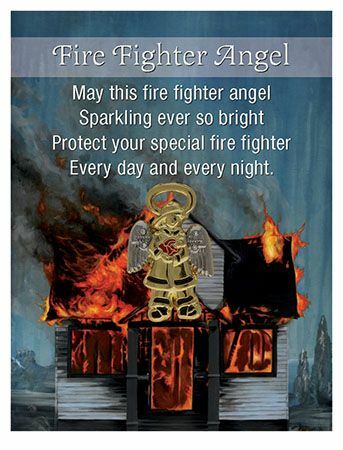 A perfect gift for all fireman, as well as their family and friends. Comes shipped to you in a picture gift box. Sell to raise funds.